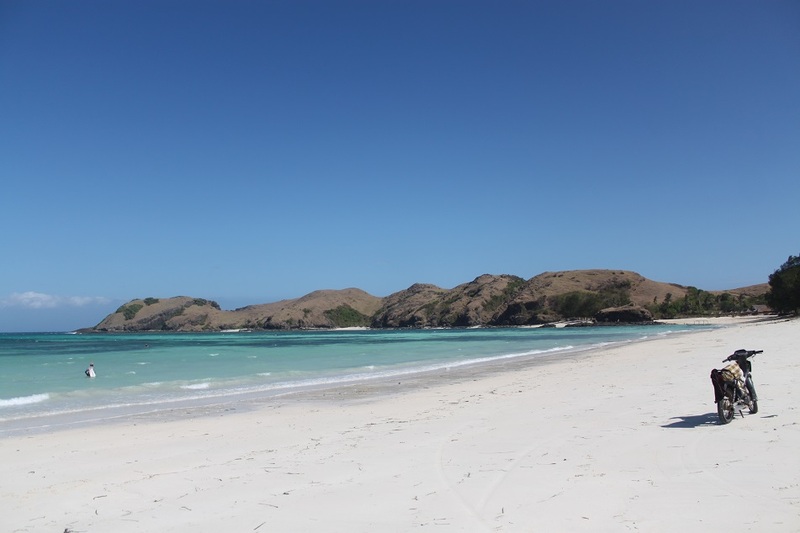 Lombok Beaches Part 1: Changing Faces | What an Amazing World! “This is how Kuta Bali might have looked like decades ago,” James expressed his concern over the more well-known Kuta when we arrived at the other Kuta in Bali’s neighboring island of Lombok. I nodded, agreeing after witnessing myself what reckless mass tourism has done to the Balinese beach and its surrounding area. Throngs of vendors selling souvenirs with obscene words printed on them and stalls with ‘magic mushroom’ for those who want to get high stud the main streets in Kuta Bali, which now sadly represents the image of a once tranquil piece of paradise in the southern part of the island. Kuta Lombok was a very different place. A turquoise beach with shades of blue and rows of modest restaurants and souvenir stalls welcomed us upon our arrival from Senggigi, another well-known and more developed beach at the western part of the island where the more spoiled tourists go, as James and I witnessed. I was literally lost for words when a man scolded a staff member at the hotel restaurant when he found out that they did not have hot chocolate. Such an incident clearly shows how traveling has lost its essence for some people – travel is supposed to be about discovering new places, experiencing new cultures, and trying new things instead of seeking the same comforts found at home. 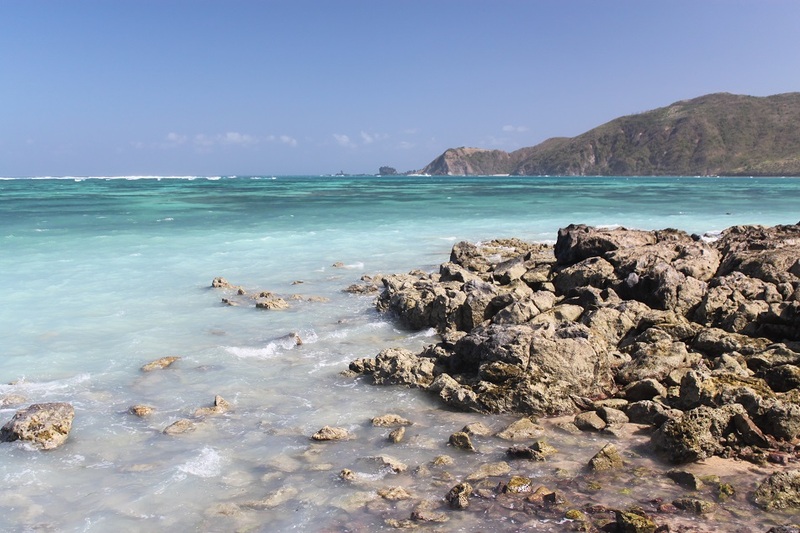 Looking back at the beautiful vista at Kuta Lombok, we could do anything but wait to swim in the relatively calm sea. 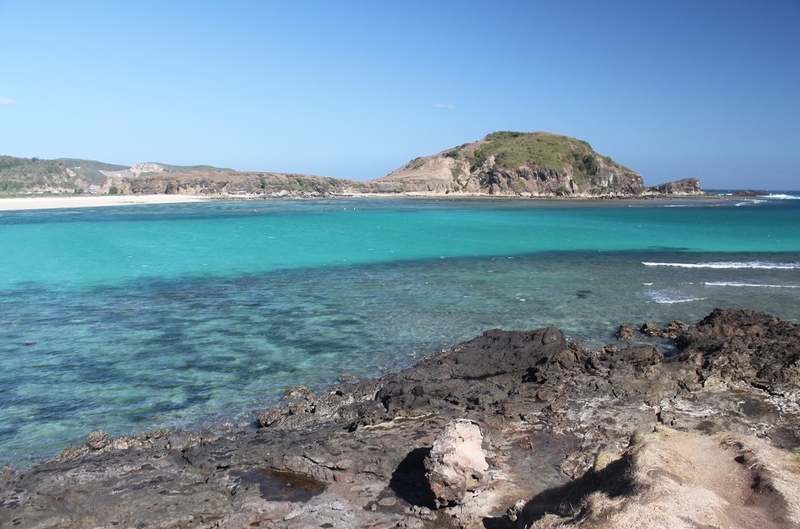 Kuta Lombok consisted of two main parts, separated one from another by a rock formation jutting into the water. As we walked along the coastline, I felt a different sensation on the palms of my feet. Looking closer, I realized that the sand looked different from what I had seen in other beaches in Indonesia. Pepper-like grains of sand covered the entire coastline, mixed with fragments of dead corals. Walking down the beach to find a nice spot to put our slippers and shirts, we were followed by two small boys, each carrying a wooden board on which small souvenirs were hung. “Only 5,000 rupiah” one of them spoke loudly, hoping one of us would be interested in buying the less than USD 1 souvenir. “No, thank you” I refused politely while making a hand gesture to tell them that we would not buy anything from them. “Please give me 1,000 rupiah then,” the same boy insisted. “But you are not a beggar,” I replied, curious about his reaction. “I am a beggar,” he quickly retorted, with a clear and concise answer. How corrupted the mind of a boy has become. We changed our strategy by walking and paying no attention to them. We walked further east to find a nice spot until we noticed a small log stranded ashore by the waves, now sitting far enough from the water. To my right, two men were kitesurfing from the distance, skillfully controlling the sides of the kite amid the strong gusts of wind. It was already afternoon and the waves were receding, leaving us with no option but to soak ourselves in the water. We turned our heads to the log where we put our shirts, then James noticed something. The people sitting to the left and right of our log were separated at about the same distance to our spot, roughly 5 meters. So were the people next to them towards the west and east end of the beach. Probably that is the distance at which people still feel comfortable when they have to sit next to a stranger. No one knows for sure. It was 5 pm and the water further ebbed away from where it was a few hours earlier. From afar a group of local men strolled on the rocks which were still submerged beneath the surface, as though they were walking on water. Fishing nets and tools in their hands and over their shoulders, simple equipment to sustain their lives. The life many find so hard it forces their children to sell souvenirs, even beg. “Tanjung Aan has the best view of all beaches in this area” the lady at the reception of our hotel informed us, “and it’s only about half an hour by motorbike” she quickly adds. I was more than happy to get back on the helm of a motorcycle like we did almost four months ago in Orchid Island in Taiwan as it made our exploration much easier. With a map in our hands, we headed eastward from Kuta to find the place the lady suggested, as did a friend of mine who went there two years ago and another who lived more than a year in Lombok. After 10 minutes leaving our hotel, a roundabout suddenly appeared in front of us, with a board bearing the name ‘Mandalika’, big enough to be read from a distance. 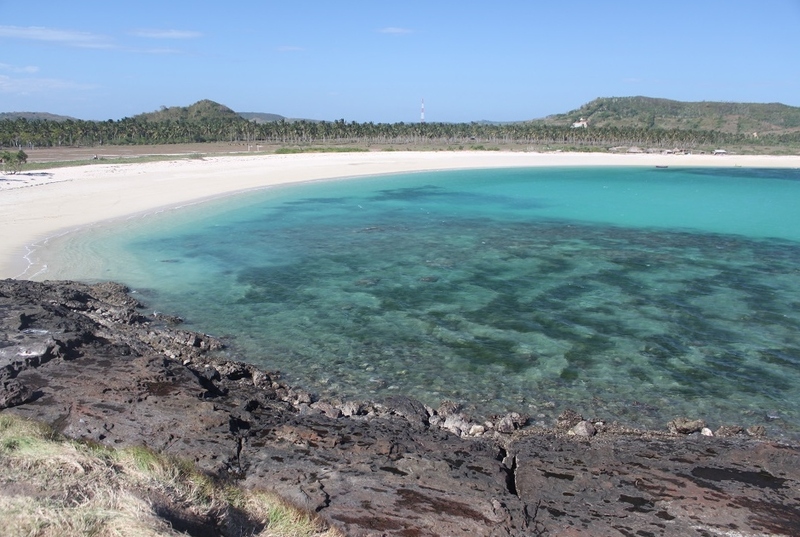 The mega-project to transform the sleepy beaches and villages in southern Lombok has been underway for years, with periods of suspension and continuation of the project funded by different investors. So far a Novotel is the only part of the ambitious plan which has been completed. We went further east to get to Tanjung Aan, but even before we left the roundabout for a minute the well-maintained tarmac changed into a road with potholes all over it. Those who stay at Novotel and never go east will certainly never know about this stark contrast of the road conditions separated only by the roundabout. We continued our ride for 5 minutes, 10 minutes, until James started to wonder if we had passed it since there was no road sign at all beyond the roundabout. Trying to go a little further, we kept riding with a decreasing confidence that we would find the right beach. Maneuvering around the potholes slowed us down a little bit, but a few short minutes afterwards we finally saw a small sign scrawled with the name of the beach, Tanjung Aan. The sweeping view of the white sand at this beach was truly amazing, the sand was so soft and the colors of the water a sight to behold. Two promontories guarded each end of Tanjung Aan and separated it from the other beaches. A small lonesome hill stood in the middle, hiding the eastern beach behind its back. As we started walking on the soft sand, two local girls approached us, carrying souvenirs to sell. We politely said no and walked away, only to be followed closely by them. We changed course, and so did they, making sure we were always less than three meters from them. We desperately tried to use different hand gestures to tell them that we did not intend to buy anything from them, to no avail. “They are the most persistent vendors I have ever met in Indonesia,” I told James. In our final attempt to escape from them, we walked towards the eastern part of the beach, completely in the opposite direction of where we were walking a few minutes earlier. We walked, kept walking, and did not look back until at one point we realized they were no longer following us. It is such a shame that the beauty of Tanjung Aan is marred by the hardness of its own locals. Despite the sore calves and thighs after the painful hike at Rinjani, we found the lonesome hill an interesting place to get a better view of the entire area of Tanjung Aan. On top of the hill the grass was blown by the wind, under the clear blue skies with patches of white clouds. We laid down, staring at the infinity beyond, and pondered about the future mega-project and how different this place would soon become. Breathtaking shots, Bama! I especially love the one of the kitesurfer – you got him at just the right moment. It is sad about the begging children… I wondered why they were not in school or why they couldn’t just run and play like other kids without worrying about earning that little bit of extra money. Makasih James! 🙂 I remember taking that shot of the kitesurfers while having the kids around. It is really sad, indeed, but that happens in many parts of Indonesia where people are struggling to make ends meet. However some are less pushy and more friendly when they’re trying to make money. Absolutely beautiful! *How long will it be before this too will be much too comercialized. * Hopefully this will not go the way the other Kuta has gone. Thanks Eki! I think most of us agree that no other place should change like Kuta Bali. We have seen how horrible it has now become. I didn’t make it to Lombok on this trip, but after seeing this photos I am definitely going back there! Thanks for sharing! I’m glad the pictures bring up your curiosity for Lombok because it really is a nice island. 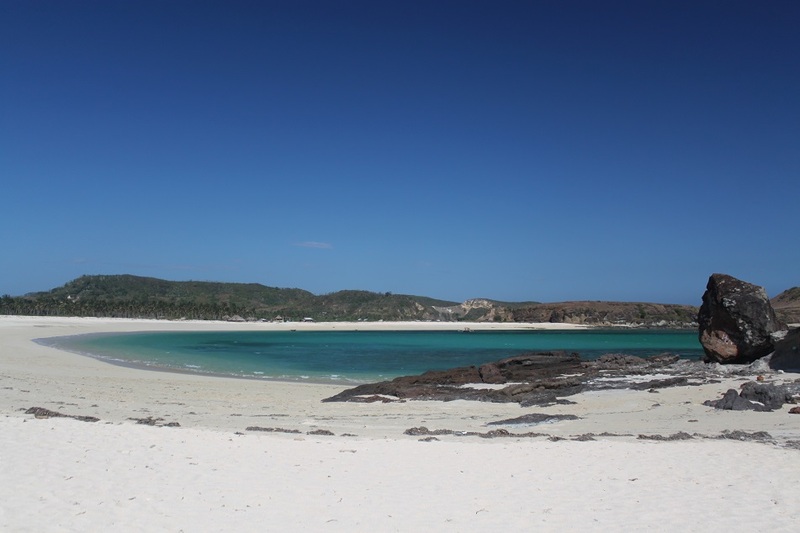 In a few days’ time I will post some photos from my favorite beaches in Lombok. 🙂 Thanks for dropping by! What beautiful colors of the ocean. I always find it sad that once rustic villages are corrupted by tourism. It’s such a push-pull, that they need the tourist dollars to survive, but that in turn changes the beauty that once was. Thanks Angeline! I guess we all have witnessed how mass tourism often irreversibly changed a place into a very horrible tourism spot. It’s about time to think of creative solutions to make tourism more sustainable which in turn will benefit the locals in the long term too. Hi Sam! Bali is a nice place especially for those who love to immerse in local culture. 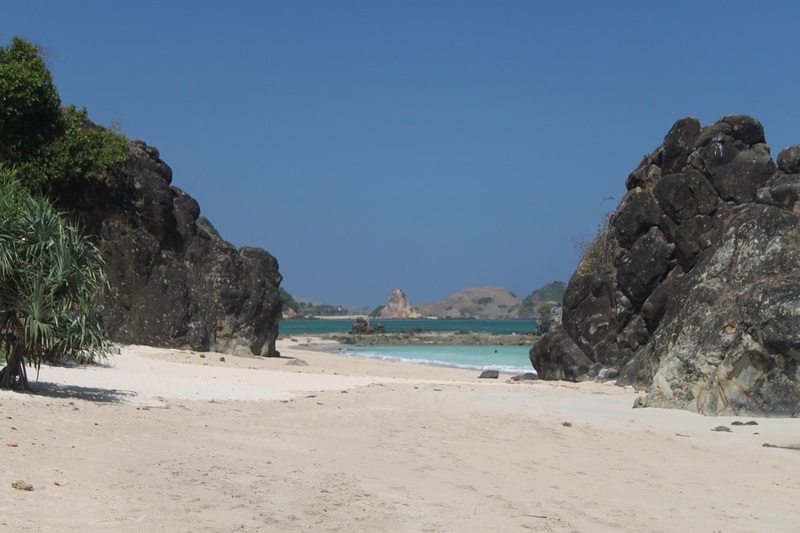 However Lombok has its own charm and more beautiful and secluded beaches. That water looks so clean and gorgeous. Wow absolutely breathtaking. And I’m sure there are so many other island destinations in Indonesia that are this beautiful. Hopefully locals and tourists will learn lessons from Bali and take it easy this time. You’re right! Those who have been to the islands in eastern Indonesia raved about their beauty. Think of stretches of powdery pristine white sand beaches everywhere you go. That’s why I’m planning to explore some of them in a few years’ time. Beautiful photos. I spent an entire afternoon on Kuta beach and I have to agree with you, nowhere else in Indonesia did I encounter such persistent vendors. Such a beautiful area, but also such a poor area. Did you find yourself sinking deeply into the sand on Kuta beach? When I was there, I found it hard to walk. Thanks Lydia! I totally agree with you about the vendors. I’m used to the ones in Borobudur, Prambanan, and anywhere else in the country, and I’m fine with them. But those kids in Kuta were the most persistent vendors ever! It was also hard for me to walk because my feet always sank deeply into the sand. After a while I decided to walk a bit further from the water where the sand was much drier. BEAUTIFUL PICTS ❤ LOOKS LIKE PARADISE!! we want to go there ASAP!! Hopefully you’ll make it there soon! Wow! It’s really interesting to see how an island so close to its more popular neighbor looks so pristine and unadulterated! If only real estate development doesn’t go as fast – I still want to visit it the way you’ve seen it! 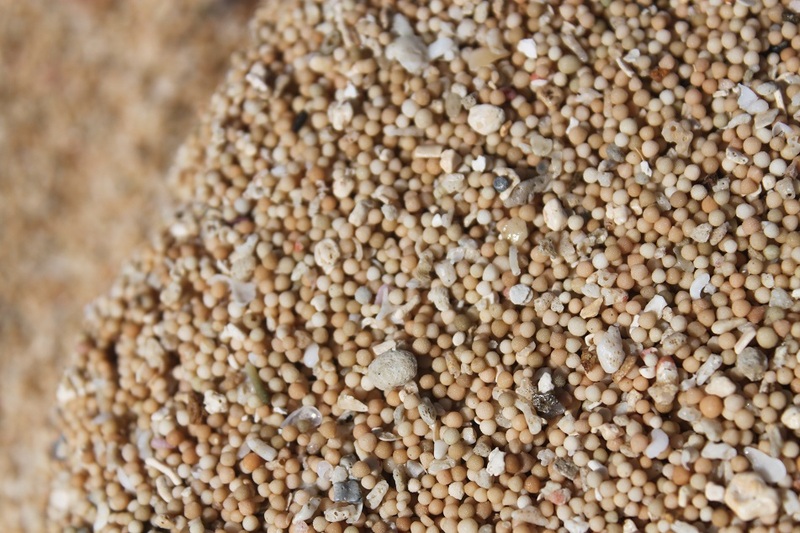 Unique beach sand too – it’s probably worth a whole lot of therapeutic acupressure just walking on it! 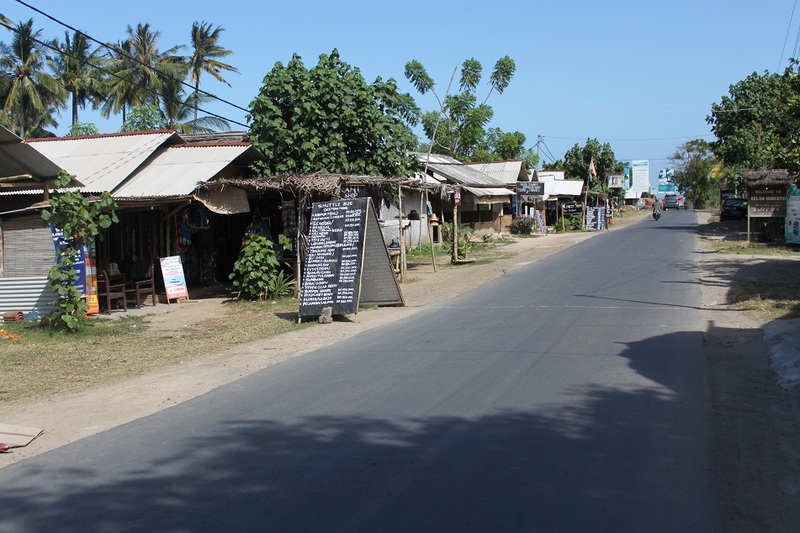 Many people have now turned to Lombok, both tourists and property developers, hence the many development sites on the island. 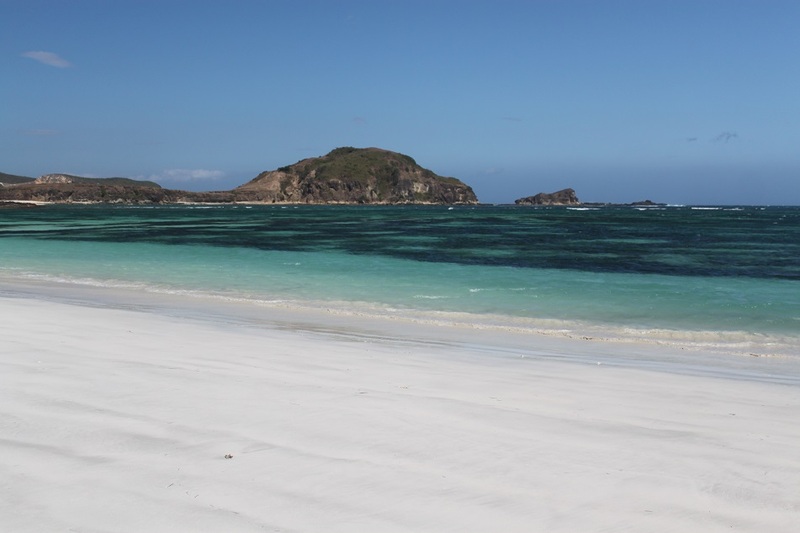 I do hope by the time you visit Lombok those pristine beaches will remain unaltered. Otherwise you have to go further east of the country to search for some secluded islands. I never thought of it that way about the sand, but you have a point. However walking on it proved to be really hard, especially on the wet side of the beach. 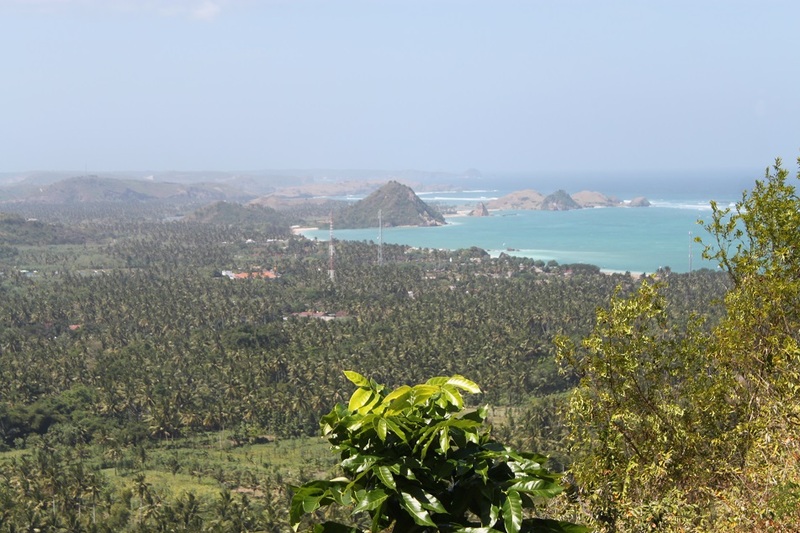 Looking forward to getting a break from Jakarta for a quick jaunt to Lombok – great pics and insights! 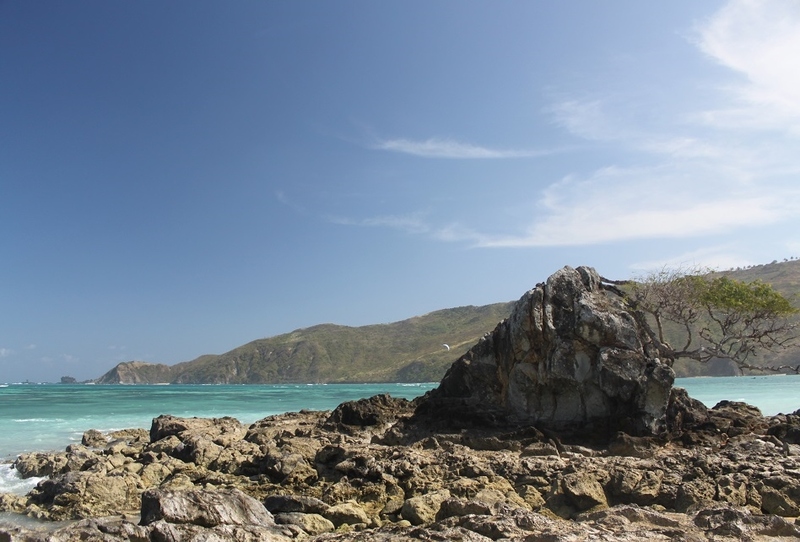 Lombok is a perfect place to break from the hustle and bustle of Jakarta, indeed. And what makes things better is the fact that there are direct flights connecting both places. Thanks for dropping by! 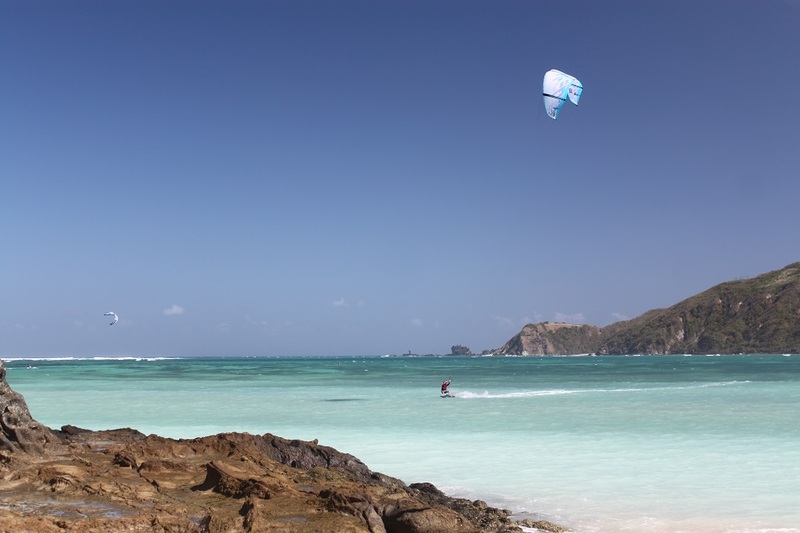 Kuta Beach Lombok has white sandy beaches with good reef breaks! Yes, it does. I guess you’ve been there. Thanks for dropping by Mariano! No a friend of mind was there..she was the one that told me when we saw your post! These are breathtaking photos and I love how you captured the entire beach from different angles. Definitely paradise. Thanks Kimmaly! If you happen to visit Indonesia, especially Bali or Lombok, don’t miss the beaches in southern Lombok where the waters are clear and the view is magnificent. Good luck for your travels! Hi Bama, these are amazing photos of very amazing beaches! I’d love to be there right now. I hope Lombok will not be as run over as Kuta Bali soon. I hope the huge developments in Lombok continue to stall. This is the kind of place I’d like to stay if I go to Bali. Thanks Marisol! Don’t we all hope the huge developments continue to stall? But again the local economy is badly needing some improvements. I do hope that the hiatus is used to better plan the development and to make it more sustainable in the future for the benefit of all. Why didn’t I go here while I was in Indonesia?! I guess I am more than assured to visit Lombok next time!! There will always be the next time. 🙂 Hopefully you’ll make it to Lombok sooner than later. Thanks for the reblog! Terima kasih! Sorry for the misplaced comment earlier. I thought you referred to my food posts. Silly me! 🙂 You should go to Lombok sooner than later, before things change drastically. 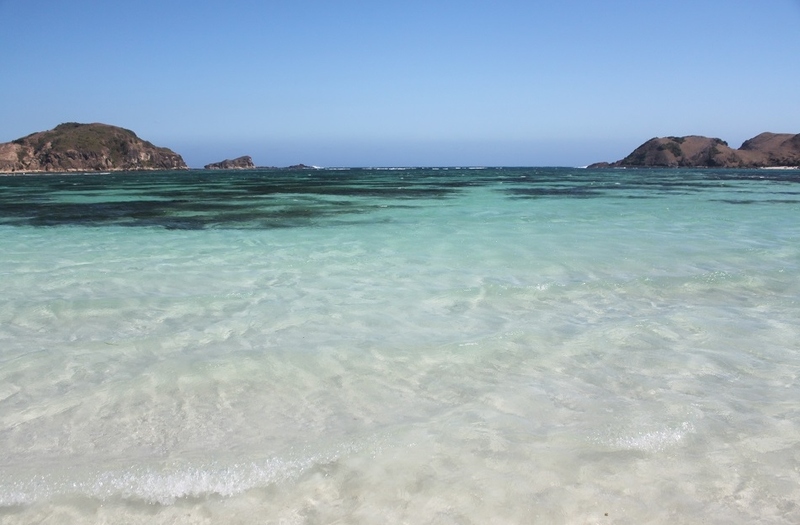 Wow amazing photos, wish I was on one of those beaches right now! I think it would be slightly better than rainy England! Thanks Sarah! 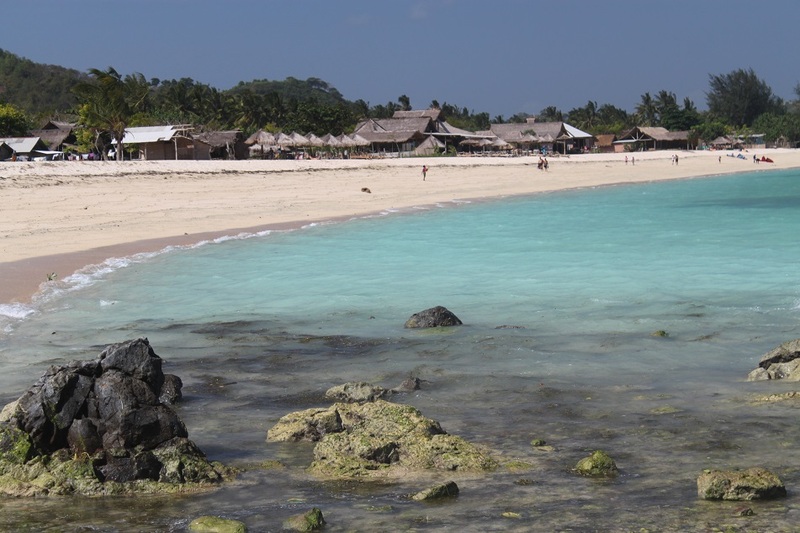 Lombok is getting more and more accessible as new international routes are opening up. 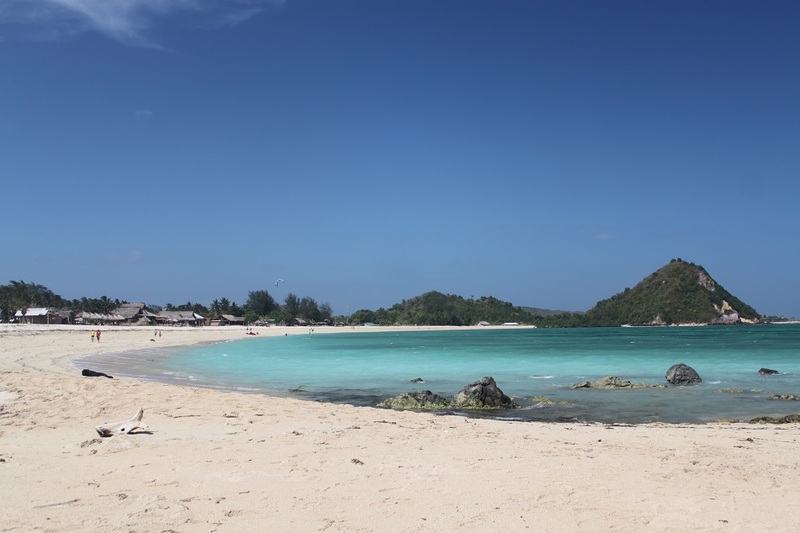 It is rumored that there will be direct flights between Hong Kong and Lombok, making those beaches easier to go to. I am voiceless!! Your photos are incredibly awesome, and the beaches are amazing! Keep it up for your next trip!